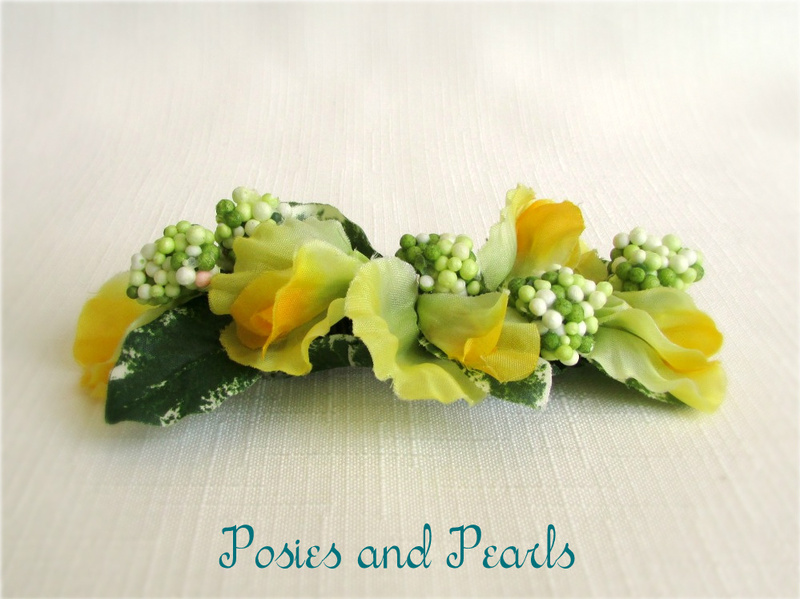 Sunny yellow silk blossoms to accent your wedding style! Five delicate, sweet pea flowers mixed with apple green colored berry sprays are a lovely combination. Pretty variegated green and cream pittosporum leaves are the finishing touch. 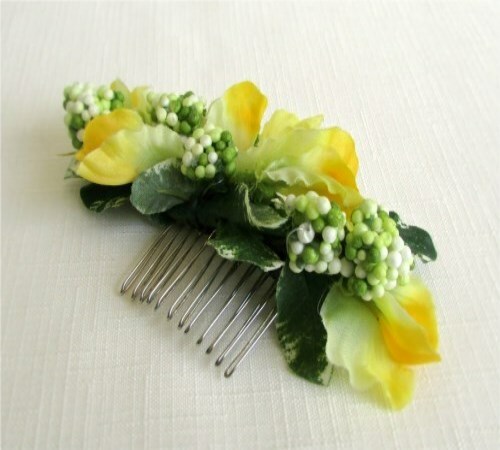 This spring inspired hair comb will surely brighten up your day! 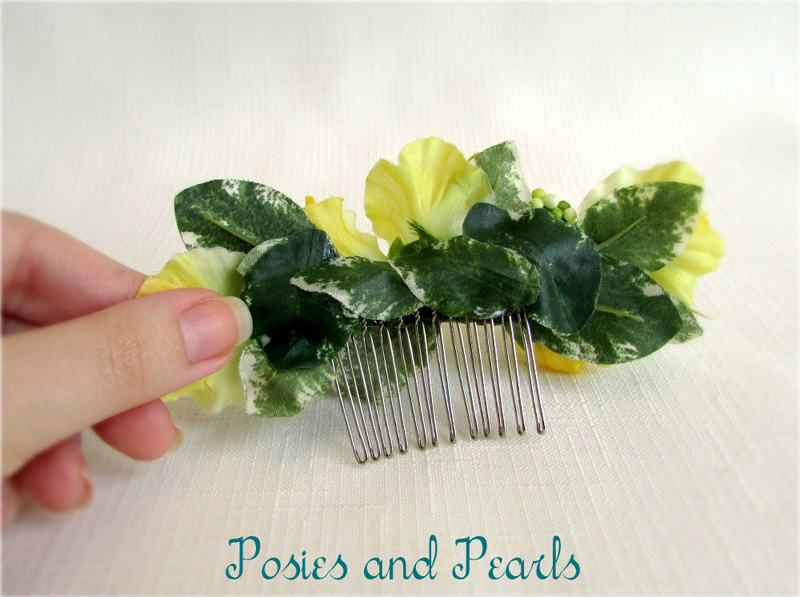 This hair comb arrives with additional bobby pins to make securing it in your hair extra easy. CUSTOM REQUESTS: Like this style but prefer another color scheme? Have a larger wedding party? I can create coordinating pieces for each of your attendants including bridesmaids’ bouquets, corsages, boutonnieres,and flower girl baskets. Contact me and I will be glad to assist you.